Cosmetic Dentistry is a field of modern dentistry that allows usrestore your smile back to it’s natural strength and beauty with conservative treatment options. Even if you’ve never been entirely happy with the appearance of your smile, Cosmetic Dentistry can help you achieve the straight, white, beautiful, healthy-looking smile of your dreams. Your cosmetic dentist beautifully combines dentistry and artistry – art and science – to create smiles that are indistinguishable from nature. Each of our doctors has pursued years of the advanced training necessary for our practice to be considered the premier choice for cosmetic dentistry in West Florida. Will my new smile look natural? Every smile is as unique as the person it belongs to. Our doctors take the utmost care and attention to every last detail in designing a smile that suits each individual patient. A series of precise facial measurements will help our doctors in creating a smile in proportion to your facial and bone structure, also considering factors like age and gender. Thankfully, with advances in modern computer imaging technology, we can actually show you a picture of what your new smile look like before we even begin the procedure. Our digital imaging software allows us to manipulate a digital photograph of your current smile and turn it into your redesigned smile. 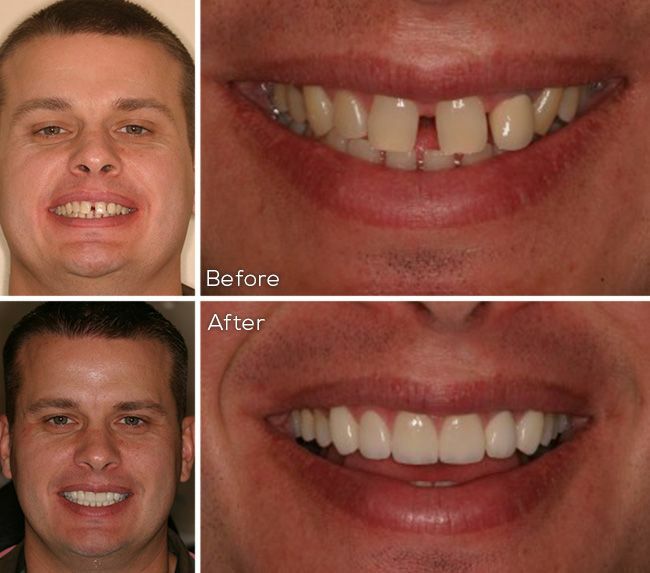 This gives patients piece of mind that their new smile will look just how they want it. At The Center for Cosmetic & Family Dentistry, giving you a beautiful new smile and a deserved boost of confidence is a sea breeze. To find out what cosmetic dentistry can do for you, check out our list of cosmetic services below, or give us a call to schedule a consultation today! 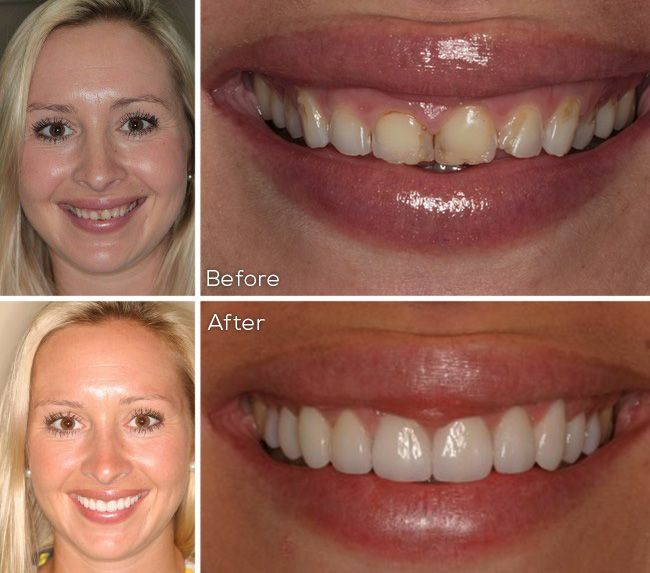 If you thought veneers were just for the red carpet, think again! Dental veneers are thin, tooth-colored strips of porcelain that are bonded to the tooth’s surface to correct a number of cosmetic grievances including color, shape, and alignment. Dental implants serve as both functional and cosmetic solutions for missing teeth. Implants are surgically inserted and allowed to bond with the jawbone, creating a sturdy anchor for a tooth replacement that will last a lifetime. Dental crowns also serve as both cosmetic and functional solutions for teeth that are broken, cracked, chipped, or decayed. Revolutionary CEREC® technology allows us to fabricate and place a crown in a single appointment. Say goodbye to metal mouth with the tooth colored fillings of modern dentistry. This discreet material is not only used to fill cavities, but can also be used for cosmetic improvements like color and shape. No one will ever know you’ve had a restoration. Teeth whitening is a quick and easy way to rejuvenate your smile, and take years off of your appearance. Take your smile from dull and drab to daring and dazzling in no time with Zoom!® Whitening at The Center for Cosmetic & Family Dentistry. If you suffer from teeth that are crooked, gapped, crowded, or otherwise misaligned, but don’t want to bear the burden of unsightly metal braces, Invisalign® might be a perfect solution for you. Straighten teeth quickly and discreetly with Invisalign®. If you are missing most or all of your teeth, dentures can serve as both cosmetic and functional solutions. A far cry from dentures past, modern dentures are discreet, stable, and can be created with such precision that no one will be able to tell the difference. If you have any questions about cosmetic dentistry, or would like to schedule a consultation, contact your Destin dentist at 850-810-0300, or your Panama City Beach dentist at 850-810-0600, or request an appointment online! We offer free cosmetic consultations. ​​​​​​​Do not include sensitive personal, financial, or other confidential information (social security, account number, login, passwords, etc. ).